One of my goals for 2017 was to start theming my Instagram! For the longest time the thought of theming my blog's Instagram wasn't fun. As many of you probably know, I'm not a photographer at all, so thinking about theming my Instagram was really overwhelming. I'm so glad that I discovered this super easy method for theming your Instagram, because without it I would be absolutely lost! I wanted to share this amazing piece of knowledge that I've discovered with anyone else who might be feeling overwhelmed with the thought of theming their Instagram. 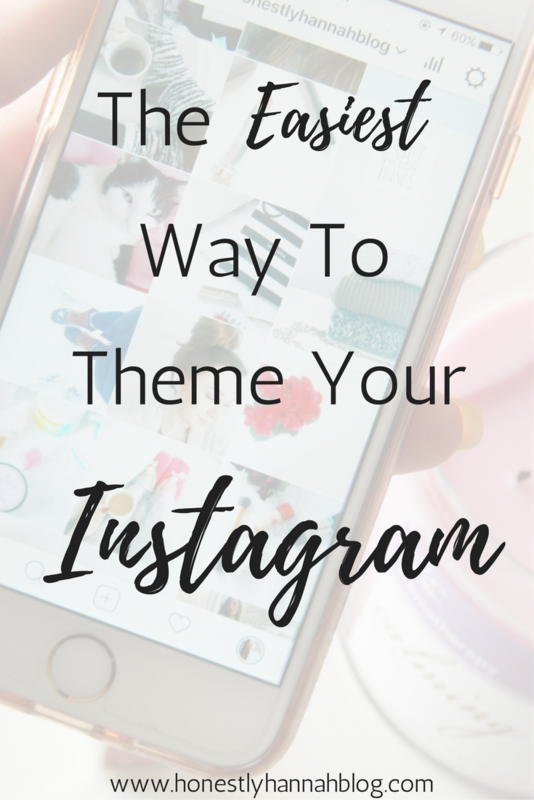 Why should you theme your Instagram? Before I get into talking about how exactly I theme my Instagram, I wanted to first address this: WHY should you even bother theming your Instagram? Not only was I overwhelmed with figuring out how to theme my Instagram, but I was also unsure of why it was even necessary. Was it really going to increase my following and engagement? Instagram was an incredibly hard platform for me to grow, personally. When I decided to make a separate Instagram for my blog, I didn't realize how difficult it would be to grow that platform. One of my biggest issues, I would say, was my photos at the time. When I first began my blog's Instagram, my photos were all over the place. I've learned since then that people LOVE to look at pretty things. Pretty mugs, pretty flowers, pretty pictures. When people click on your Instagram profile, they want to see nice images with a consistent theme. My personal Instagram is very loosely themed, but I felt that my blog's Instagram should definitely have a pretty consistent theme. Having a consistent theme on your Instagram helps you establish an aesthetic, and also helps you create consistent branding. 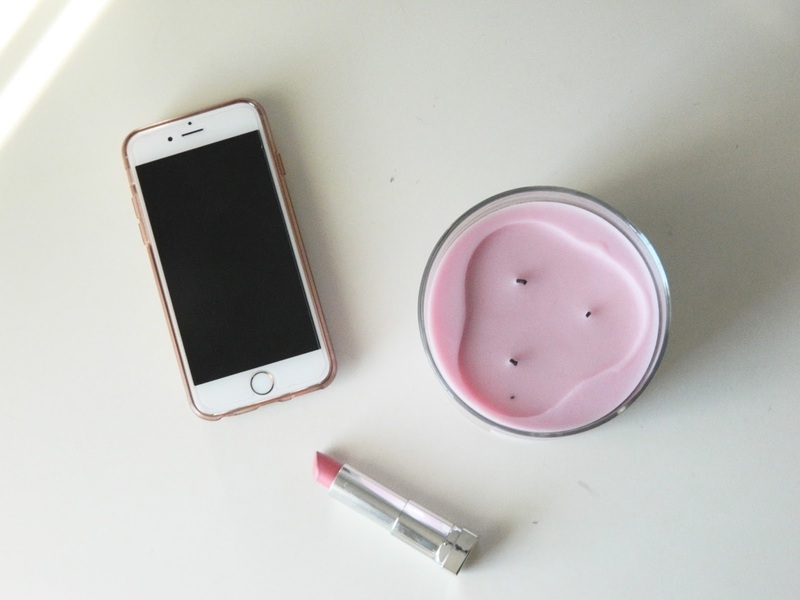 Here's the real catch to theming your Instagram: How the heck do you do it? 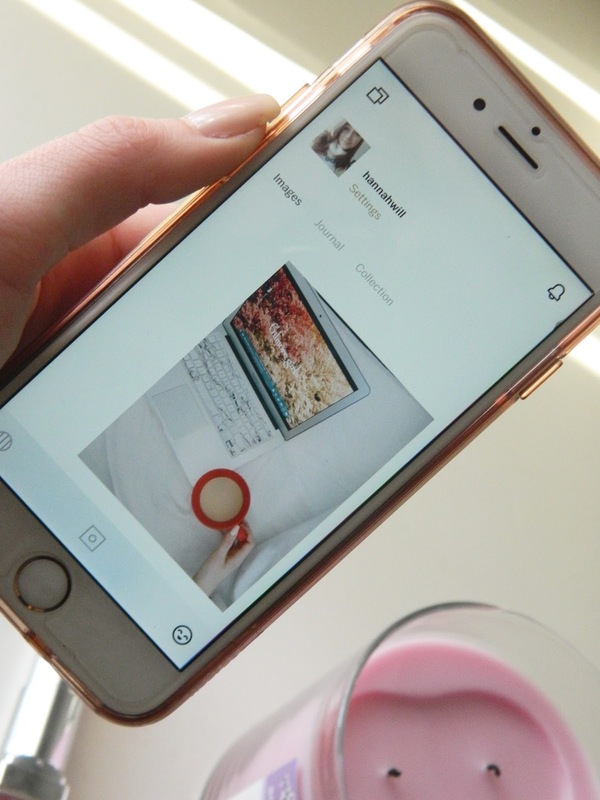 I'm going to give you a few tips and of course share the super easy trick that I discovered so that you can easily theme your Instagram too! 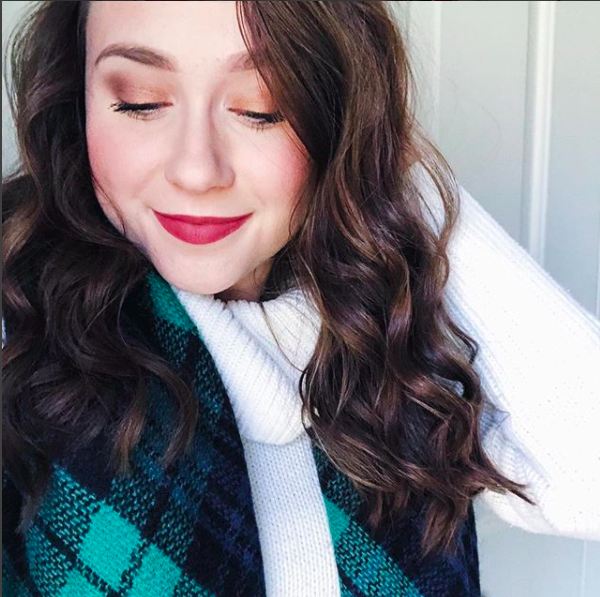 Take pictures in the same lighting // It's always a good idea to take your Instagram (and blog photos) in the same lighting, if possible. Although it is nearly impossible to find the EXACT same lighting every single day, you can usually succeed by taking photos around the same time of day, and even in the same area if that's a possibility for you. Use an Instagram preview app to plan posts // Did I ever see myself using an app to plan out my Instagram posts? NOPE. Listen though, I'm so glad I did because it takes a lot of the stress of being a "consistent" Instagram poster out of the whole equation. My favorite part about preview apps though is the fact that I can actually see what a photo is going to look like in my feed before actually posting it to Instagram. I've been loving this app for seeing what my feed is going to look like and even for planning out posts! Give people a reason to follow you // If all you do on Instagram is promote your blog posts, you're probably not going to be successful. 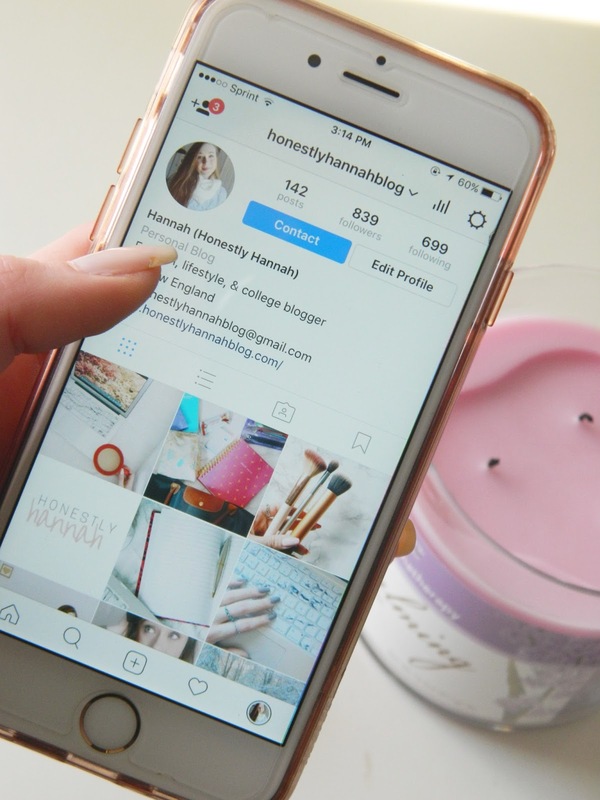 Don't get me wrong, promoting your blog posts via Instagram isn't a bad thing at all, but I do believe that it's important to give your following a bit of variety when it comes to your posts. People love to see behind the scenes stuff. I posted this photo the other morning when I was in bed watching Gilmore Girls! Snaps like this make followers feel like they're getting to know you more personally. Be picky about what you post // I've had a tough time with this one. If you take a photo that you really like, but it doesn't fit your theme, you probably shouldn't post it (you'll regret it later). Save these photos for Twitter or Facebook, instead of ruining your perfectly crafted Instagram feed with them. Now to the good stuff. 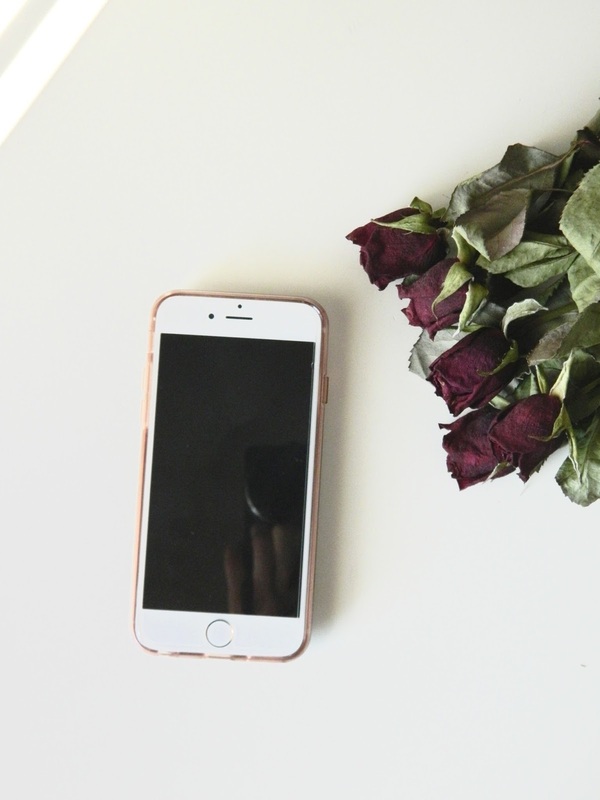 I'm going to share how I personally theme my Instagram using one of my favorite photo editing apps, VSCO Cam. Step 1 // Open the app and import photos from your camera roll, or take them within the app. 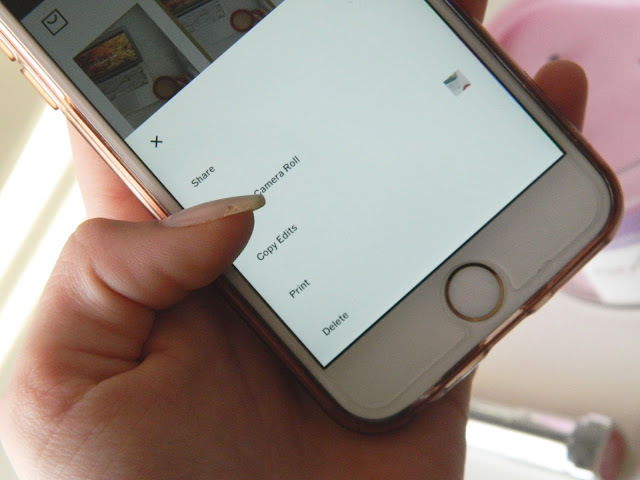 You can do this by simply trying out different filters, adjusting brightness, contrast, tint, saturation, etc., or you can even find theme by searching "VSCO Instagram Themes" on Pinterest. The results will show themes people have already made, and it will show you all the edits they used so you can recreate that exact theme. Step 3 // Save your photo to your camera roll and upload it to Instagram! So how can you easily apply the same edits to all your photos to create a consistent theme? It's actually incredibly simple and it doesn't require remembering the settings you used! Step 2 // Select "copy edits"
Step 3 // Select the photo you want to apply the edits to and select the 3 dots on the right hand side again. Then, hit paste edits. Volia! 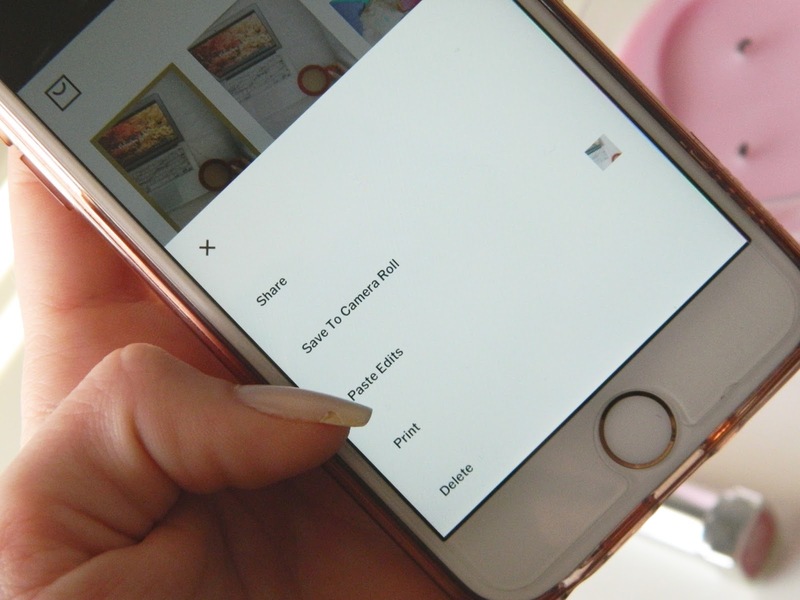 You now have an easy way to apply the same edits to all your photos and post them to Instagram. Make sure to follow the tips I mentioned earlier in the post to ensure that your photos are relatively similar before you even edit them. It makes things much easier! I'd love to know know how you guys theme your Instagram! What apps do you use? Do you prefer the light-and-bright photos like I do, or do you prefer a more sultry theme? As always, don't hesitate to reach out in the comment section or through email if you have any questions at all.